I.A.T.S.E. Local 209 represents the Studio Mechanics throughout the State of Ohio. Members work in all the departments of the Film and Television Industry on a multitude of productions. How do I join IATSE Local 209? Send us a copy of your resume and a letter requesting to join the Local. This will then be reviewed by our membership board to make sure that this Studio Mechanics Local is the right fit for you. Make sure you supply a phone number and an email so that we may contact you. As a general rule we are looking for people who have worked at least days in the Film and Television Industry. This experience needs to be documented with old pay slips, crew contact/ call sheets and so on. Keep a record of all of this as you may be asked to prove your experience. Also you will need a current OSHA10 safety in the workplace certificate. This may be taken and completed online. Proof will need to be sent in with your application. Alongside this, two letters of recommendation will be needed from Union members stating your suitability for membership into the Local and their willingness to support you in all matters pertaining to joining the Local. I sent a resume, what happens now? Once the board has looked at your resume you will get a call confirming that we received your request and then have a chat to answer any questions that you or the membership board may have. Its at this time that we may ask for your proof of experience. If you still wish to join, we will send you an application form and a breakdown of the cost and obligations of membership. I sent my application and money in but I haven’t heard anything? Once we receive your application and joining fee, everything is sent to the International in New York and the office of the General Secretary. Here they examine your application and do a background check. This takes a few weeks but once they have approved your application it is returned to us. At this point the board should give their final approval and the President of Local 209 will invite you to be sworn in at the next General Meeting. You will need to take and pass an OSHA 10 course. There are many places that run this course and it may be found and completed on-line. A copy of your certificate needs to accompany the application form. $557 is due upon signing. $100 will cover the application fee to the International, $400 will be a first payment towards the initiation fee and $57 will cover the first of the quarterly stamp dues. The next installment of $200 is due 4 weeks after the application is processed and the balance is due upon acceptance into the Local. If you are able to furnish 2 letters of recommendation from union members, applicants may be granted one year from application filing to complete payment of Initiation fee. This is to be set up with the Secretary-Treasurer before filing the application with Local 209. This timeline is shortened if the applicant is employed on a feature film, when payment is due in full by the end of their employment on the production. At present, $57 per quarter due January 1, April 1, July 1, October 1 for stamps If members get 3 quarters behind in quarterly dues, their membership will be terminated. This amount may change at the discretion of the local’s Executive Board. 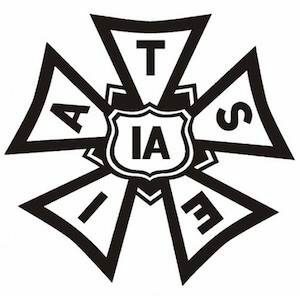 IATSE 209 represents the crews of the entertainment industry throughout Ohio and Northern Kentucky.